As java is know for its rich library which simply many task for the developer, so young or budding engineers always look for the Java Technology. Here we provide some of basic projects of computer science field where solution not only provide understanding of various approaches of java but also provide new thought to develop different logics. Here this projecttunnel platform provide java projects with source code free download for students of technical field who either pursuing bachelors or masters degree. These projects are in running condition hence one can directly use in their business work as well. Although some set of required changes need to be done such as logo, address, etc. 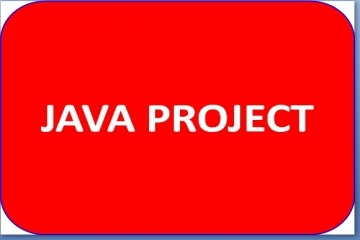 Here we provide list of projects which are based on JAVA technology. So java projects with source code free download for students are available in this blog where student can download and learn connection of database with the front end window, various type of data passing, some set of security checks, how games are develop in java as well. please i need some miniproject in java. can you help me.